Strom Thurmond Theatre proudly presents Disney’s Aladdin Junior. You do not want to miss this magical journey. Show dates are Saturday November 3rd and Saturday November 10th at 7:00 pm and Sunday November 4th and November 11th at 3:30 pm. Tickets are selling fast so call Strom Thurmond High School or 8032751768 ext. 0 to reserve your tickets today. Aladdin is another fabulous show wonderfully directed by Steven McKinney. The set is absolutely gorgeous and it quickly takes you from the streets of Agrabah to the gorgeous, opulent Palace, to the mysterious Cave of Wonders. The lighting design by Tyler McKinney is exceptional and was a treat to watch. Julia Crider’s choreography brings the well loved songs to life. The entire cast brings amazing energy and excellent characterization to their roles. This group of students are incredibly talented and will make all of Edgefield County proud. 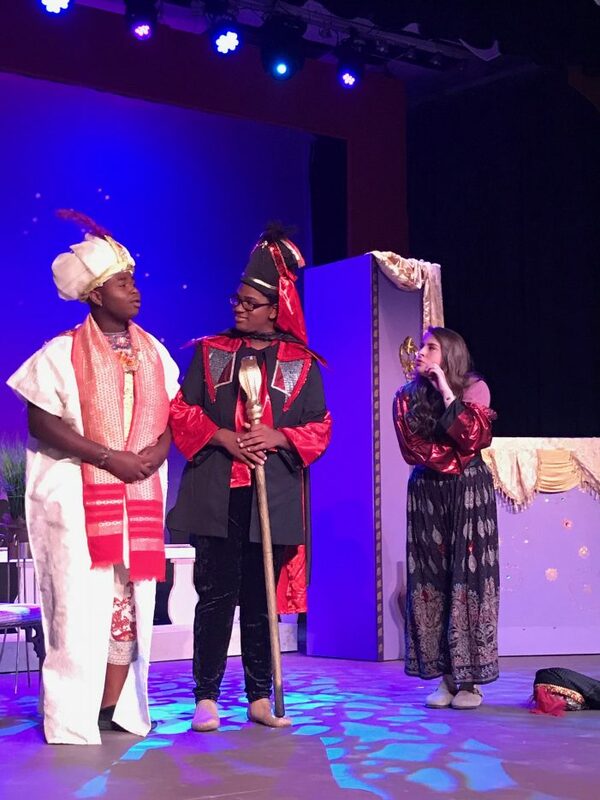 The cast features Braeden Sides as Aladdin, Ryan Wood as the Genie, Arianna Miller as Jasmine, Kevin Johnson as Jafar, Kailey Jones as Iago, and Avery Williams as the Sultan. The cast and crew are hoping to take every audience member on a magical adventure that will stir every aspect of his or her imagination. So call for tickets today and discover “A Whole New World”.